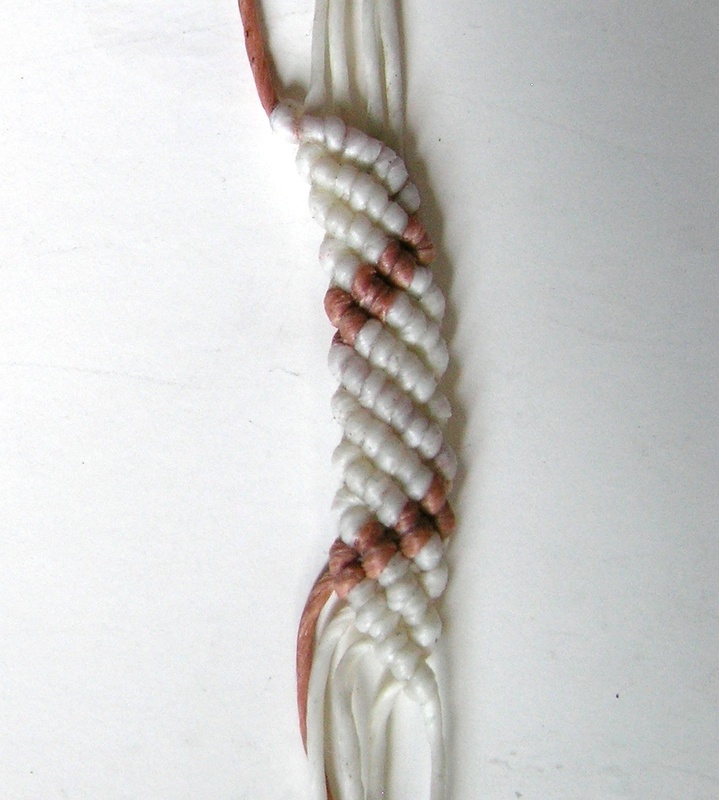 This is one of a most decorative knot seen in waxed cord macrame, you must practice and know how to tie it perfectly. Be sure you practice Double Half Hitches before you get started. 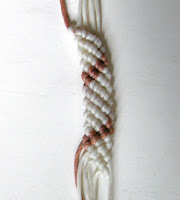 We sometimes call the holding cord in this knot a 'raised bar' which can be construct in any direction, such as Horizontal, Diagonal or many shapes shown below. and bring it under the working cord. 1.3 Pull it tight before make to next knot, just pull the end slightly to the left. 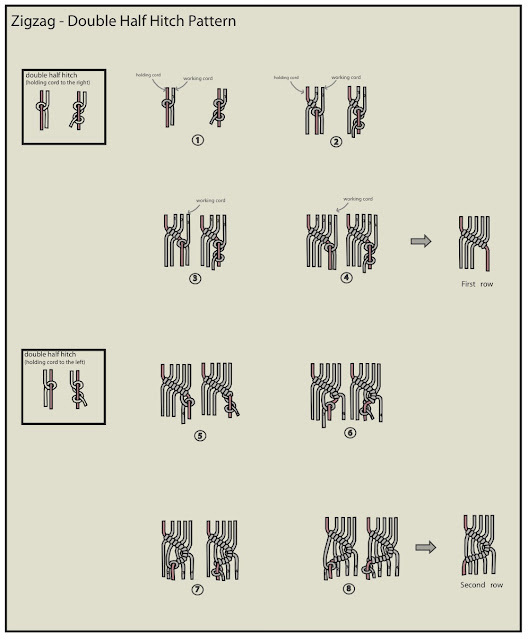 1.4 repeat step 1.1-1.3 but pull the end to the right. Step 2: Tie another Double Half Hitches by take the second working cord on the right. Step 3: Tie another Double Half Hitches by take the third working cord. Step 4: Tie another Double Half Hitches by take the fourth working cord. 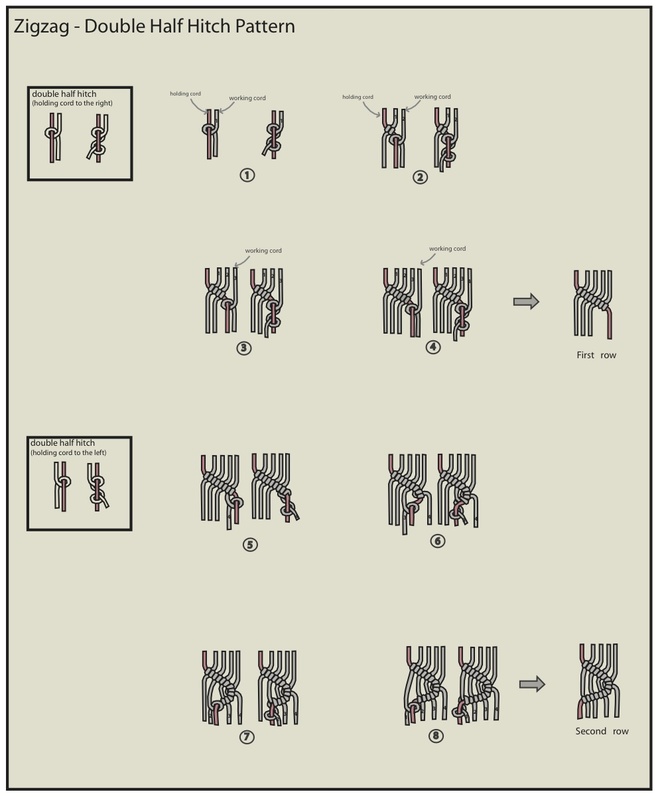 Zigzag bar with alternating square knot.